I hope everyone enjoyed the learning game, I'm looking forward to next time! 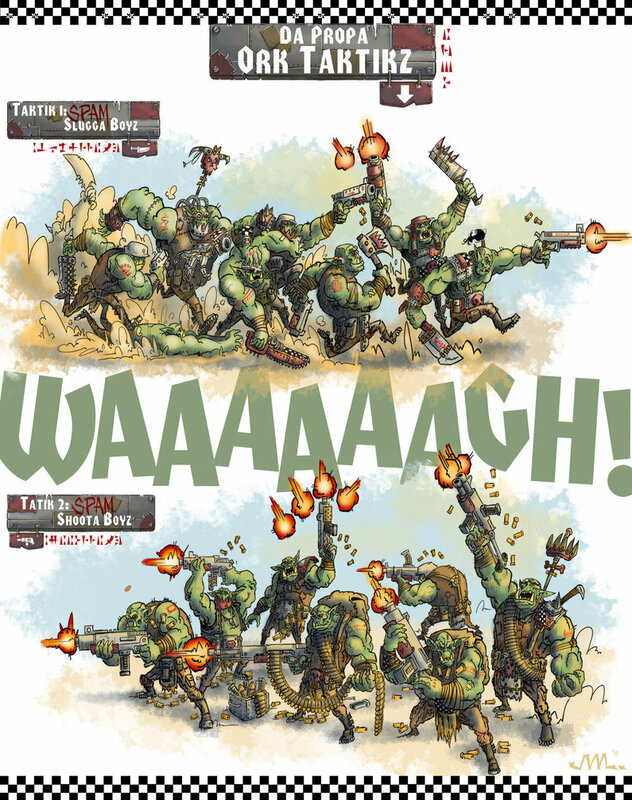 What aims do the Orks have? What is the point of a tornado? I dig how in a setting where giant, muscled fungus men ride Mad Max cars and use their own teeth as currency, the concept of little engineering dudes with beards was considered a step too far down the aisle of silliness.
. Many hiccups happened during the game but I guess that what happens when 3/4 of the players are learning their armies and game but even those didn't really matter as we all had fun, I hope 8P. You know youre in for a fun game when your enemy is deploying his forces and you are getting excited just watching a mountain of blackpowder and guns. 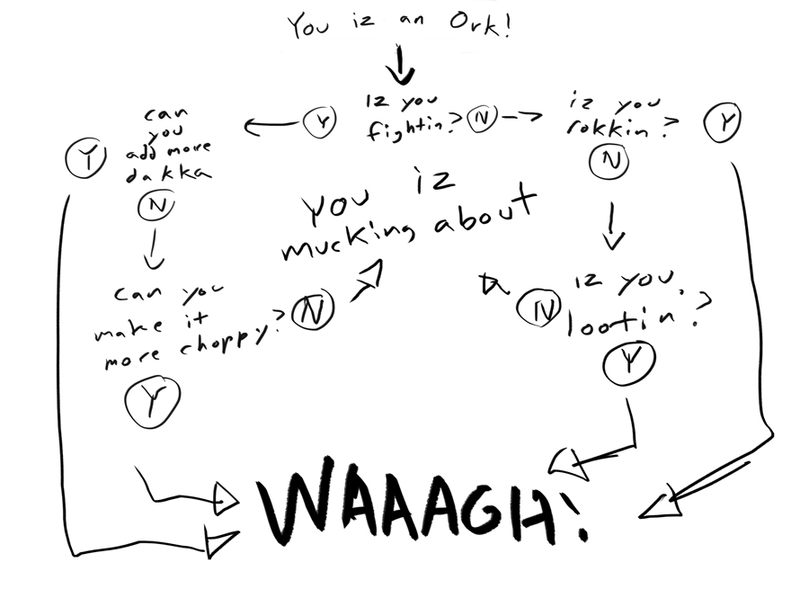 "Shoot the choppy and chop the shooty"
Guide to being an ork: Learn it, live it so you don't muck about! You can never have enough dakka for it is like the speed of light. You can come close but you can never attain it. I enjoyed it, the game is simple enough that even with it being my first game I didn't feel completely lost. I didn't know or forgot most of the special rules but still had a blast. Seeing how well the dwarf gun line did after getting charged turn one I'm kinda excited to see how well they can do if you have to cross half a table first. If you can't dazzle them with brilliance baffle them with BS. If that doesn't work, riddle them with bullets.